Adding a Custom Field works the same in both versions other than the number of Custom Fields you can add. Custom Fields, once created, can also be used on your subscriber forms to collect that information upon signup, and in your newsletters to display the information to your subscribers. In the example below I entered "Language" as the custom field to collect. After clicking "Submit" you will see a short code for use in your newsletters to print the information collected about each recipient. If you have Pro, you can add as many custom fields as you'd like. You will always have an extra field to create new cutsom fields after clicking "Submit", or you can add as many fields as you like by clicking the "Add Custom Field" button. Edit your signup form and select the custom fields you'd like to include as part of the signup process. You can also make any custom fields you create required by click the checkbox under the custom fields. Finally, if you want to see the data a subscriber entered you can see the custom fields on their subscriber profile. 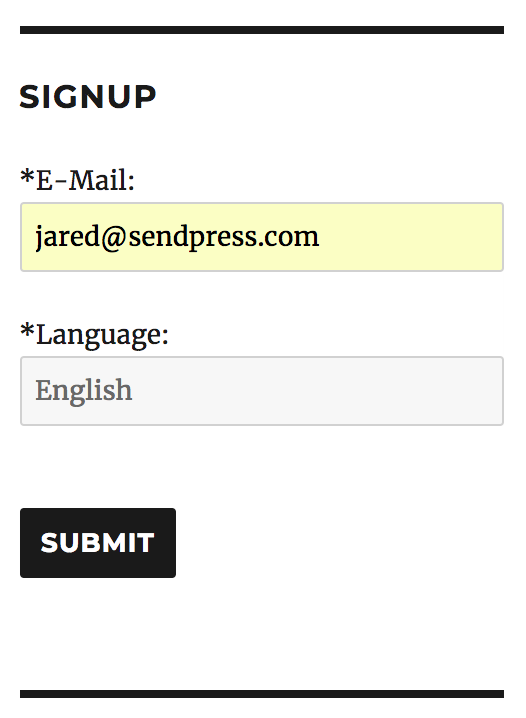 SendPress Free includes one Custom Fields for subscribers as of version 1.8.3.30. 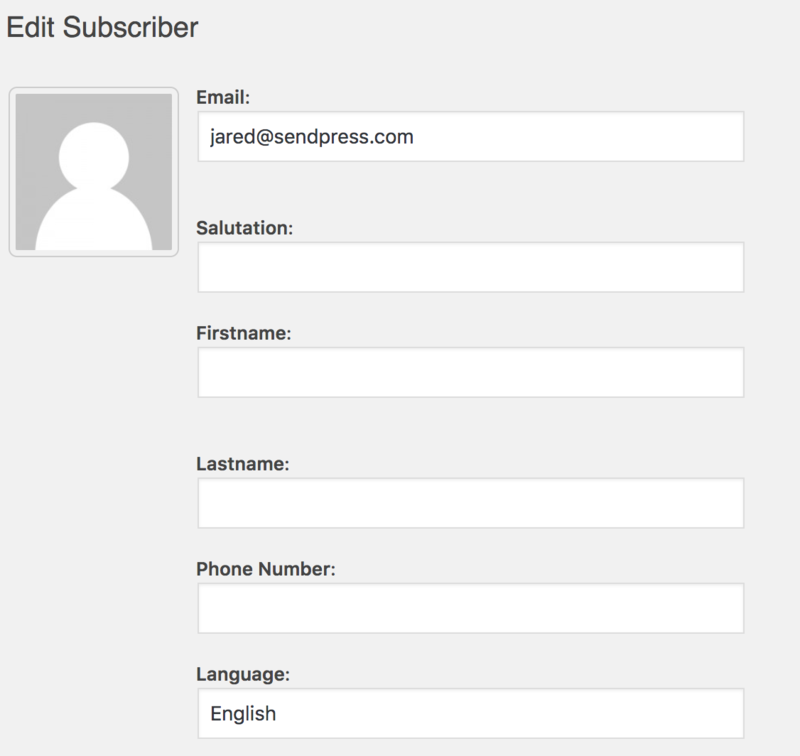 SendPress Pro supports as many custom fields as you want to create for subscribers as of version 2.1.3.16.